Prominence: 22,841 feet (6,962 meters), 2nd most prominent mountain in the world. First Ascent: Swiss climber Matthias Zurbriggen solo ascent, 1897. The highest mountain in South America. 2nd most prominent mountain in the world. The highest mountain in Argentina. The highest mountain in the world outside of Asia. The highest mountain in the Western Hemisphere. One of the Seven Summits—the highest points on the seven continents. Cerro Aconcagua is the highest mountain in South America; the highest mountain in the Western and Southern Hemispheres; and the highest mountain outside Asia. Aconcagua is one of the Seven Summits. The origin of the name Aconcagua is unknown. It possibly derives from Aconca Hue, an Arauca word meaning "Comes from the Other Side" and referring to the Aconcagua River or from Ackon Cahuak, Quechuan words meaning "Stone Sentinel." A similar Quechuan phrase is Ancho Cahuac or "White Sentinel." Take your pick! Aconcagua is pronounced as ɑːkəŋˈkɑːɡwə in English and akoŋˈkaɣwa in Spanish. Aconcagua lies within Aconcagua Provincial Park in the province of Mendoza in the Republic of Argentina. The mountain lies completely within Argentina and, unlike many other Andean peaks, does not sit on the international border with Chile. Aconcagua is the highest point in the Andes, the world's longest mountain range. The Andes, beginning in northern South America and ending at the continent's tip, stretch over 4,300 miles (7,000 kilometers) in a narrow band along the west edge of South America. The Andes pass through seven countries--Columbia, Venezuela, Ecuador, Peru, Bolivia, Argentina, and Chile. Aconcagua is not a volcano. The mountain was formed by the collision of the Nazca Plate and the South American Plate during the relatively recent Andean orogeny or period of mountain building. The Nazca Plate, the ocean crust to the west, is being subducted or pushed beneath the South American Plate, forming the long chain of the Andes. The first known ascent of Aconcagua was during an expedition led by Edward FitzGerald in the summer of 1897. Swiss climber Mathias Zurbriggen reached the summit alone on January 14 via today's Normal Route. A few days later Nicholas Lanti and Stuart Vines made the second ascent. These were the highest ascents in the world at that time. Did the Incas Climb Aconcagua? It is possible that the mountain had previously been climbed by Pre-Columbian Incans. The skeleton of a guanaco was found on the summit ridge and in 1985 a well-preserved mummy was found at 17,060 feet (5,200 meters) on the southwest ridge of Cerro Pyramidal, an Aconcagua sub-peak. The first female ascent was by Adrienne Bance from France on March 7, 1940, with members of the Andinist Club of Mendoza. The first winter ascent was by Argentines E. Huerta, H. Vasalla, and F. Godoy from September 11 to 15, 1953. The first ascent of the 9,000-foot-high South Face was by French climbers Robert Paragot, Guy Poulet, Adrien Dagory, Lucien Berandini, Pierre Lesseur, and Edmond Denis in seven stormy days in February 1954. The first woman to climb the South Face was Titoune Meunier and her former husband John Bouchard via the French 1954 route in 1984. In March 2008, Francois Bon made a speed-flying descent of Aconcagua's 9,000-foot-high South Face in 4 minutes and 50 seconds. Speed flying is a blend of free skiing and high-speed paragliding. Bon later said, "I fell from the sky along the walls." How Many Climbers Reach the Top? 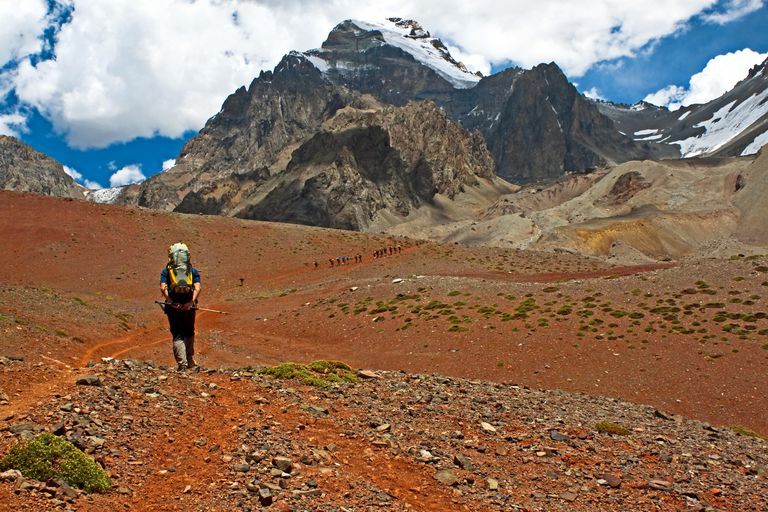 No hard records are kept about Aconcagua ascents but the Provincial Park reports a success rate of about 60% of climbers who attempt the mountain. About 75% of climbers are foreigners and 25% are Argentinean. The United States leads in a number of climbers, followed by Germany and the UK. About 54% of climbers ascend the Normal Route, 43% up The Polish Glacier Route, and the remaining 3% on other routes. Over 140 climbers have died on Aconcagua, most by complications of altitude sickness as well as by falls, heart attacks, and hypothermia. The first fatality was Austrian Juan Stepanek in 1926. An average of three climbers dies each year on Aconcagua, the highest death rate of any mountain in South America. 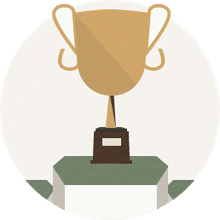 The US National Library of Medicine National Institutes of Health keeps track of the demographics of climbers who attempt Aconcagua and the circumstances of every climber who dies on its slopes. They note that during the 12 years between 2001 and 2012 that 42,731 climbers attempted Aconcagua. Of that number, 33 climbers died, a fatality rate of 0.77 deaths per 1,000 attempts. The most common route up Aconcagua is the Normal Route, a non-technical walk-up climb along the Northwest Ridge. It's important not to call this route an easy climb because it's not. Don't underestimate the route since people die on it every year. Most of the route is simply hiking up a trail and plodding up scree slopes. There are no permanent snowfields on it but crampons, ice axe, and alpine climbing skills are needed.